There was a time, not very long ago, when it was a serious question whether the Indians could be educated and merge themselves into American life as civilized men. The first schools established by the government and by individual enter­prise were short lived. Gradually, however, much better progress was made through the fact that the Indian came in contact with civilized man and ob­served his ways and his industries. The triumph of civilization, the power of pros­perity the wonders of industrial art, all made a deep impression on the red man, and from them he learned much, while from schools and books he gained but little. Then came the industrial schools. The old educa­tion was literary and religious; the new education is industrial. The influence of the new schools is al­ready widely manifest, for the young In­dians are everywhere drifting into an in­dustrial life; and they will continue this progress as civilization, presses in around them in an ever narrowing circle. The overshadowing importance of industrial training in the work of Indian education becomes more clearly recognized as time passes, because it is the best method of transforming the Indian from an idler into a worker, from a consumer into a producer. Personal contact has been the mainspring of all Indian progress in this country. The system of education extends beyond the schoolhouse. It aims to provide a training which will prepare the Indian boy and girl for the every-day life of the average Ameri­can citizen. Farmers and others are em­ployed to teach them the practical side of existence. This work centers in two hun­dred and fifty-three schools, in which twenty-six thousand Indian children are en­rolled, whose education costs the govern­ment more than three million three hun­dred thousand dollars a year. The system is complex, extensive and costly, but it is an economy in the end. In theory, at least, the Indian is trained so that, when oppor­tunity is granted him, he can help himself; and the theory has been fairly well demon­strated by results. One of the great obstacles is the difficulty of getting the children into the schools. It is estimated that only one-half of the Indian youth of school age are receiving instruction. Nearly all the teachers urge a compulsory law. On the reservations many of the parents are bitterly opposed to their children attending the schools. The dispo­sition and hereditary instinct of the tribesman cannot be changed all at once. Many of the older Indians look upon government school work as a demonstration of hostility. Others view it as a great concession that their little ones should be permitted to at­tend school, and they think it only right to demand payment from the government for the favor. The old Indian must die out. The buffalo, the chase, the war path, the ghost dance must be forgotten, except as historic memories, before many of the back­ward tribes will voluntarily take advantage of the schools. Communities more en­lightened than the Indian have found it necessary at times, to force attendance at their schools. Twenty-nine states and two territories of this progressive nation have compulsory school laws, and nearly every foreign civilized country has similar laws. The Indian, like all other peoples, is the product of birth and environment. No in­dividual or collection of individuals can rise very much above the high water mark of home influence. There is no power so potent to shape the character as home power, and of this the young Indian child­ren know almost nothing. What the white children are born into, the Indian child must acquire, if he is to survive on the face of the earth. There is but one way to make the Indian a part of the white man's civilization and that is through education, which includes actual contact. The horizon is often darkened by superstition, and swept by storm clouds of race prejudice and tribal influences; but we must not forget that our own progress was not made in a single bound. The methods of teaching practiced with the whites bring like results with In­dians. The untaught child of nature is plastic and easily influenced under the spell of environment. White teachers, personal examples, and school associations quickly transform the character of the Indian youth. 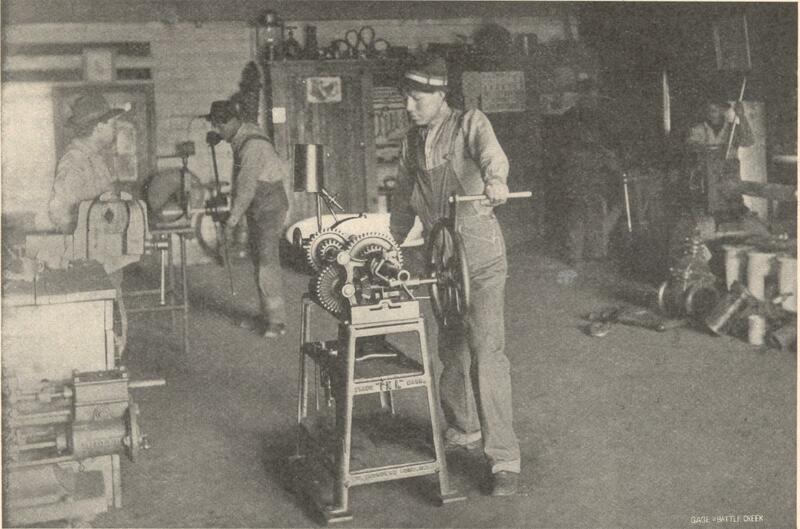 It is impossible to over-estimate the im­portance of a thorough industrial training. It is at once the corner stone of the In­dian's prosperity and happiness, and the key to every door of success open to him. It is too late to impart it to the old war­rior, but the hour is ripe for the inaugura­tion of a new policy for the young. For twelve months of the year Indian schools are the home of more than twenty-two thousand children. The scholars are taught, fed and clothed. To watch over and care for them in sickness and in health, two thousand one hundred and seventy-five per­sons are employed annually, of whom six hundred and ninety-five are Indians. At the Tomah School, in Wisconsin, six Indians are employed, representing six different tribes, and their salaries range from four hundred to six hundred dollars a year. 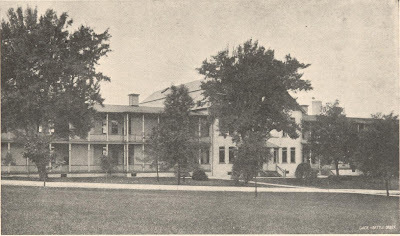 This is a non-reservation school, one of twenty-five institutions of the same sort, of which the largest is at Carlisle, Pennsyl­vania, with a capacity of a thousand pupils. Then come Phoenix, Arizona, with seven hundred pupils, and Lawrence, Kansas, with six hundred. 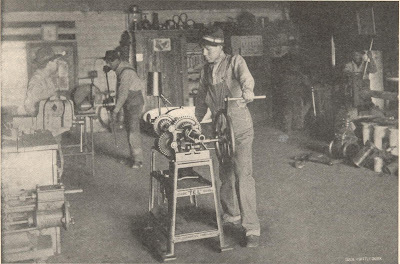 Salem, Oregon, and Arkansas City, Oklahoma, each have an industrial school with a capacity of four hundred students. 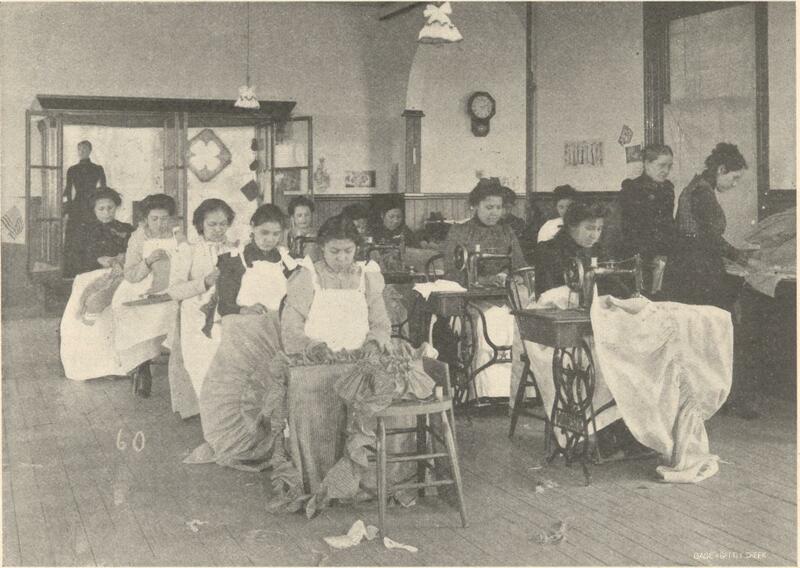 There are eighty-one boarding schools on the different reservations, and one hundred and forty-seven day schools. For ten years or more there has been an increase in attendance of nearly a thousand pupils a year. There is a general inspector of the whole system of Indian schools, and the post is no sinecure, as the incumbent, usually a woman, must journey more than twenty thousand miles a year, a good deal of this travel being through country where there is no railway. As the destruction of the buffalo was the beginning of the end of the Indian's endless wandering, so a compulsory school law would sound the keynote of his civilization. For the children of school age who come under its influence, education is doing a wonderful work. The educated Sioux or Apache follows the example of the Omahas, the Chickasaws, the Choctaws, and the other progressive nations. He finds employment, ceases to be a savage, and becomes self-supporting. Formerly, when he had fin­ished his courses, he was sent out from school to his tribe, where he had nothing to do, and where it was easy for him to forget what he had learned and to drop back into barbaric modes and customs of life; but this seldom happens now. In most government schools the class room work includes only the branches taught in the lower grades and grammar schools. Among tribes which for genera­tions have been expert in the native arts, a love of these arts is encouraged, and there are regular classes in basketry, pot­tery and weaving. Special emphasis is laid upon the learning of a trade, students be­ing trained as printers, blacksmiths, wheel­wrights and practical farmers. All the printing for the Carlisle school is done by students in the printing department. Agriculture is taught in the prairie schools, the boys learning how to judge and care for cattle as well as how best to develop the resources of the soil, while the girls are trained in the work of the dairy. Each agricultural school owns a large farm, operated entirely by students, and supply­ing all the fruit, vegetables, beef, milk and butter used by the institution. The work of the laundry and sewing room, as well as the kitchen and dairy is done by the girl students under competent directors. Thus both boys and girls "learn to do by doing." The pioneer of Indian education is the field matron, who goes in advance of civ­ilization, living among the Indians and ex­tending her gracious influence over a radius of many miles. 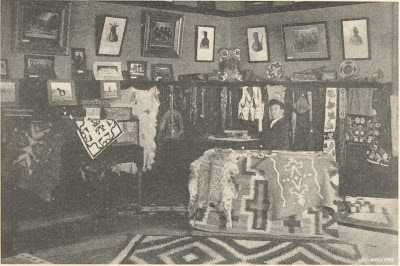 A literary entertainment was recently given by the field matron at the Shoshone Reservation in Wyoming, some of the younger Indians traveling fifteen or twenty-five miles to attend the rehearsals and take part in the program. 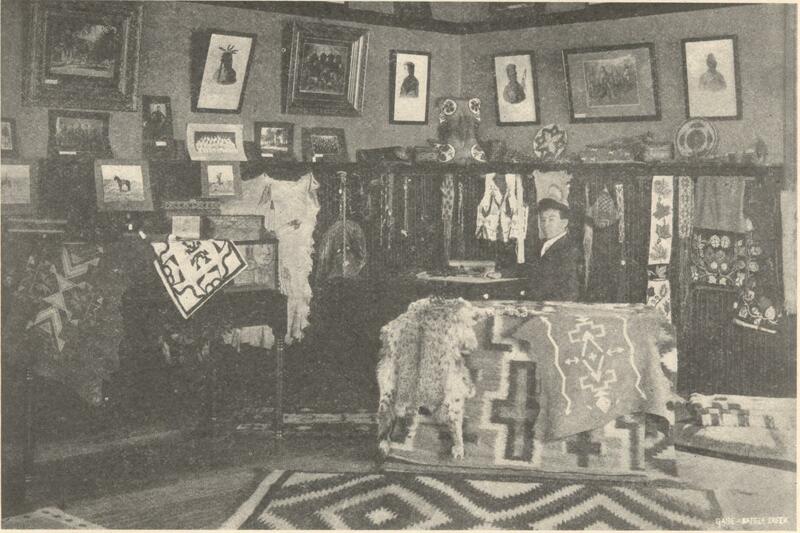 During a recent year the field matron of the Kiowa Reservation conducted ninety-six sewing meetings, at which six hundred and eighty-six civilized garments and eighty-four quilts were cut and made. Under her direction forty-seven houses were remodeled, and eighty-four lessons in cooking and laundry work were given. In all this she was pre­paring the way for the establishment of a day school, which holds the same relation to the boarding school that the white dis­trict school holds to the higher schools of the towns. Industrial training is not lack­ing in the day schools, and the reflex in­fluence on the homes is very great. A girl who has learned to cook will naturally want to experiment on the family, and a boy with new ideas about farming will be proud to know more than his father. Children who begin their education at the day schools are later transferred to board­ing schools. These are of two kinds—res­ervation and non-reservation—the former being located at the agency and controlled by the agent, and the latter being placed wherever the facilities are best and con­trolled entirely by a superintendent. There is a difference of opinion among Indian offi­cials as to which class of schools is better. The reservation boarding school was estab­lished first, and no other kind was imagined until Col. R. H. Pratt secured the old army barracks at Carlisle, Pennsylvania, and founded the now famous Carlisle School in 1879. 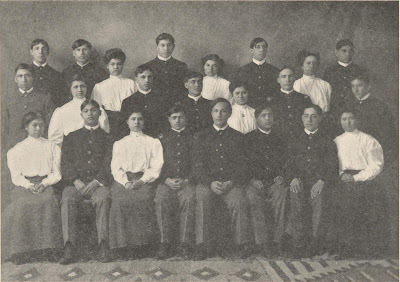 More than twelve hundred students from eighty-eight tribes are gathered at Carlisle and the standard of scholarship is as high as at any college. Colonel Pratt was also the founder of what is known as the "outing system," by which undergraduate students competent to earn wages are placed in the employ of white families for several weeks or months. 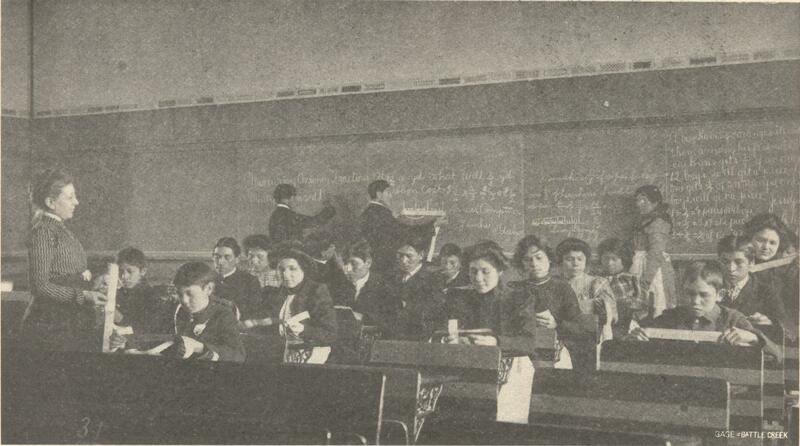 The pupils are still under the control of the school, and are required to save one-half their wages, which is placed at interest for them by the school. This amount, with accumulated interest, is returned to them after they have taken their final examina­tions, and are ready to leave the school per­manently. By this plan they acquire a lit­tle knowledge of the world, and a little capital before they begin the actual battle of life. This system was so successful at Car­lisle that it has been adopted by other schools, the only difficulty being that the demand for "outing pupils" is so far in ex­cess of the available supply. During a recent year nearly a thousand such students were sent out by Carlisle earning good wages in the families of thrifty Pennsyl­vania farmers and in the meantime attend­ing the local schools. The history of the "outing" dates back to the year 1875, when Captain Pratt, then in charge of Indian prisoners of war at St. Augustine, Florida, placed some of them out to work with truly remarkable results. Carlisle was founded in 1879, the first, as has been said, of the non-reservation schools. The first summer eighteen pupils were sent out into families, of whom a half returned to the school as failures. The work was steadily pushed. Six hundred boys and girls are now placed in country homes every summer at reasonable wages, and half that many in the winter, for their board and care while attending local schools. For several years past the failure to give satisfaction has only been about four per cent. The earnings of the pupils have, in one single year, amounted to more than twenty-five thousand dollars. The intent of Capt. 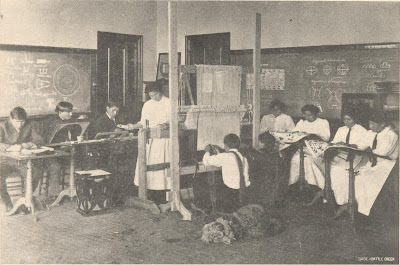 Pratt's "outing sys­tem" is to give the Indian a usable knowl­edge of the English language, and of ordi­nary farm and household industries to­gether with the advantages of contact and association not to be had in any Indian school, and the privilege of a share in the best American home life, not to be had in any school. To this end great care is exer­cised in the selection of suitable homes for pupils, and close supervision over them is maintained while under the guardianship of the school. The system as it stands today is worthy a moment's study. Boys and girls are en­couraged to volunteer for the outing. After they have been assigned to homes, with due consideration of the special needs of both parties, pupil and patron sign the rules which are to govern their relations. It is distinctly understood that the young people are placed out, not as servants, merely, but as pupils, for whose proper care, teaching and oversight their employer is responsible. They are usually treated as members of the family. No associations are knowingly per­mitted for them that are not helpful and elevating, morally as well as industrially. A monthly report is required for each pupil in the country, covering every item of health, wages and expenditures. Twice a year each one is visited by an agent of the school, who looks closely into conditions and investigates all complaints. There is at Carlisle a separate office, with three clerks, where the large correspondence is handled and a complete record kept of every "outing." Nearly all these pupil workers receive wages, except while regularly attending school, which they must do for eighty con­secutive days, if out through the year. They are paid fully as much as others re­ceive for similar service. A certain pro­portion of their wages is allowed them for extra clothing and spending-money, but they are expected to save about three-fourths. The formation of the habit of sav­ing, so foreign to the tradition of the Indian, is thus especially emphasized in the outing. The letters of both pupils and patrons are very suggestive, and present a graphic pic­ture of the perfectly natural and sometimes close relations that are formed upon a basis of mutual service rendered. "The best help I ever had," "I feel as if I would like to keep her always," "We shall be exceedingly sorry to part from her." These are common expressions from those who employ Carlisle pupils. "I am going to stay here five years and all the rest of my life," "I like these people around here. I just like to live here all time." "Tell my mother why does she want me to come home there for? What is she going to do with me? Is she going to teach me like this here? I think not." Such are some of the spontaneous phrases found in pupils' letters. Nor are parents and kindred forgotten. No more unjust charge can be laid at the door of the system than the oft repeated accusation that it destroys the family. Pupils are required to write a home letter every month; they can write as many more as they choose. Nearly all lovingly in­quire about absent sisters and brothers, in­variably urging that they be sent to school. Many send money home—ten or twenty dol­lars at a time—of their own hard earnings. Hon. Francis E. Leupp, Commissioner of Indian Affairs, says: "Our proper work with the Indian is improvement, not trans­formation." The best Indian educators realize that to crush the spirit of the In­dian is to destroy his future usefulness, and an effort is made to foster the pride of the Indian in the best qualities of his race. For this purpose the native industries are taught in the government schools, and the students become expert in the arts which were cul­tivated by their ancestors. Uniting the best Indian culture and characteristics with the best of the white man's knowledge and edu­cation, should produce a race which Amer­ica may be proud to call her first born sons. In the systematic and intelligent educa­tion of the Indian one of our gravest nat­ional problems is being solved. 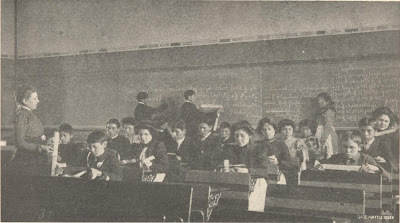 An enthusi­ast, writing on the subject says: "Let improvement in the government Indian schools be in the direction of more efficient instruction in the industrial departments, giving to work of all kinds its full value as education; and heaven forbid that these rising young Americans be taught to look upon themselves as an inferior class, set apart by nature and heredity to be "hewers of wood and drawers of water" for the "superior" race! "One successful physician, or lawyer, or minister, or artist, or author, or educator, or statesman of Indian descent is worth a thousand day-laborers as a practical illu­stration of the equality of the races." 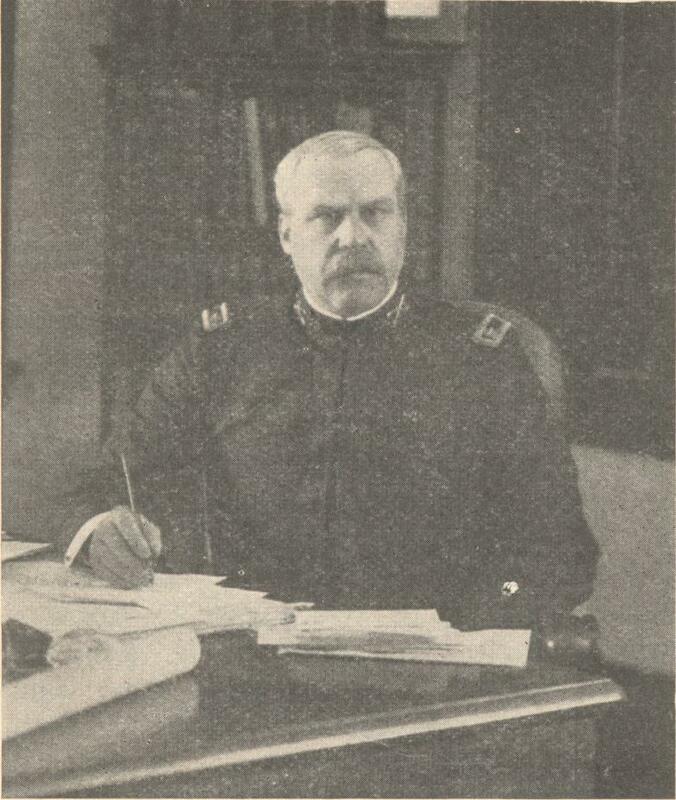 From The Bay View Magazine – 1908.